Outfit inspiration, trends, and some of the looks I put together for a recent fashion show! 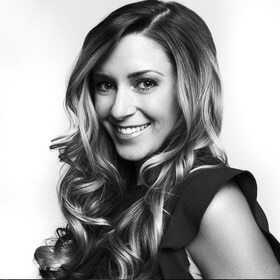 Isn’t it fabulous to finally be out of winter boots and heavy jackets, and into easy-breezy dresses and open-toe shoes? It’s been super hot these last couple weeks here in our hometown of Edmonton, and I’m just getting around to freshening up my wardrobe for spring and summer. I’ve completed a closet purge, and now I’m getting set to do a big shop to pick up the remaining items I need for the next couple of months (post on that coming soon). 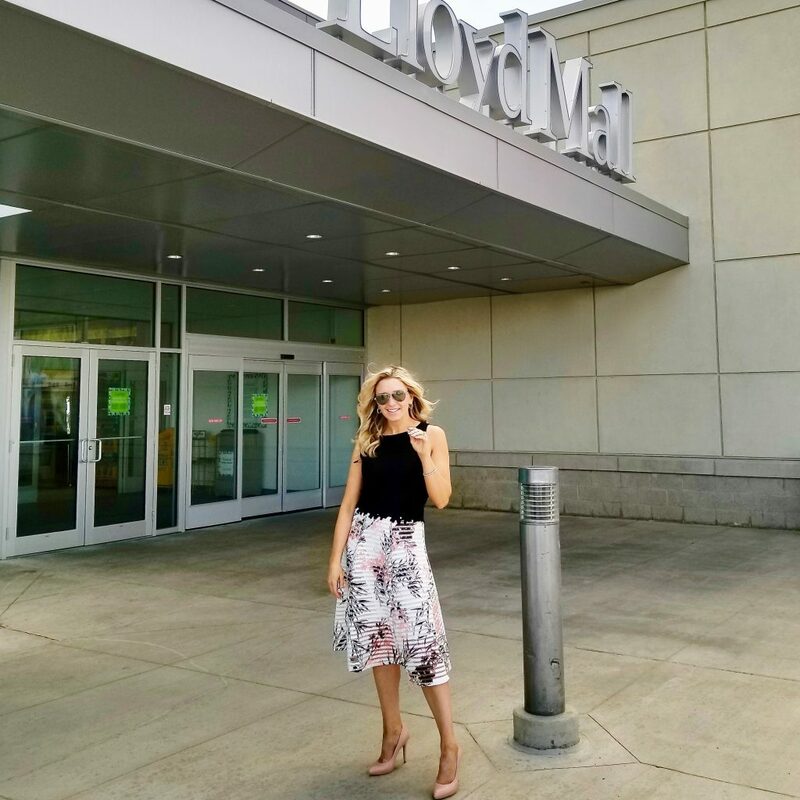 Earlier this month, I was thrilled to team up with Lloyd Mall to host and style a fashion show featuring spring and summer styles for 2018. Lloydminster is a big part of our world. My parents live just outside of Humboldt, Saskatchewan, so Lloyd is where we stop for lunch and shopping on our road trips out to visit. Same goes with my parents when they’re on their way to visit us in Edmonton. It seems everyone is so friendly in “Lloyd”! In addition to big name stores like Le Chateau, Footlocker, and Below the Belt, Lloyd Mall has a few hidden gems I adore. I put together this look (below) from a shop called Suzanne’s & Jenny’s. 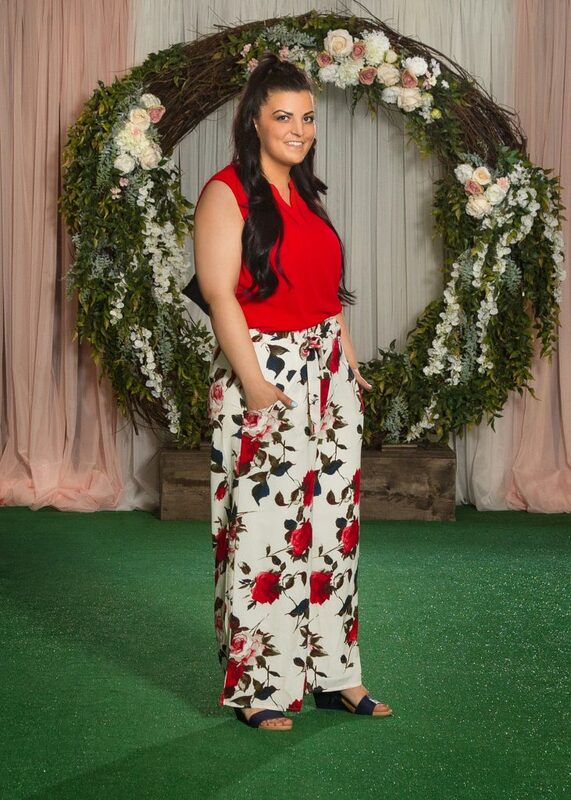 The flowy palazzo pants are a beautiful, airy fabric, which is perfect for looking stylish on those hot summer days. Here’s another flowy pant option. These gaucho capris from Le Chateau are also perfect for a polished summer look. Pair with a plain tank or tee to keep the pants the star of the show. Jumpsuits and kimonos are two of the biggest trends this year. I love the lace detail on this kimono (below), which could also be paired with shorts and a tank, or used as a beach cover. 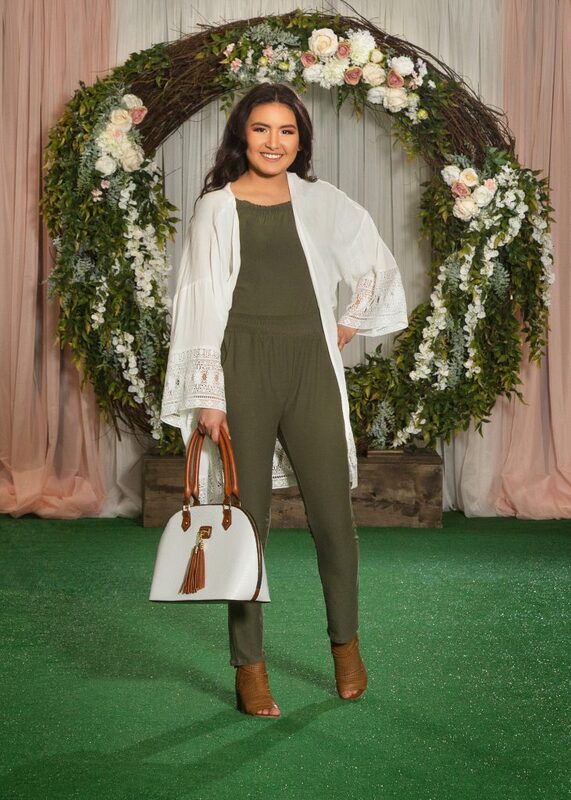 This entire look from Ardene (jumpsuit, kimono, bag, and sandals) is just over $100! Here are a few additional cute summer looks utilizing cardigans and/or kimonos. I absolutely love the shorts dress trend. This would work well for an outdoor summer event or patio party. You’ll instantly stand out in the sea of dresses! This shorts dress is from Eclipse in Lloyd Mall. This outfit from Below the Belt has “brunch with friends” written all over it. 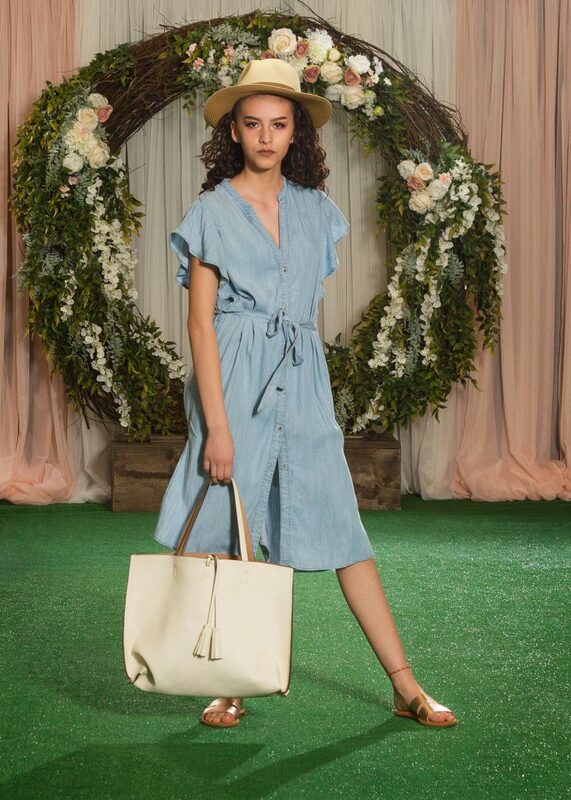 The lightweight denim dress has a subtle ruffled sleeve to add interest, and looks so good paired with a light-coloured tote, gold slides, and a canvas hat. soft, casual jumpsuit. Pair with slides for your #ootd and heels and statement jewellery your #ootn look. 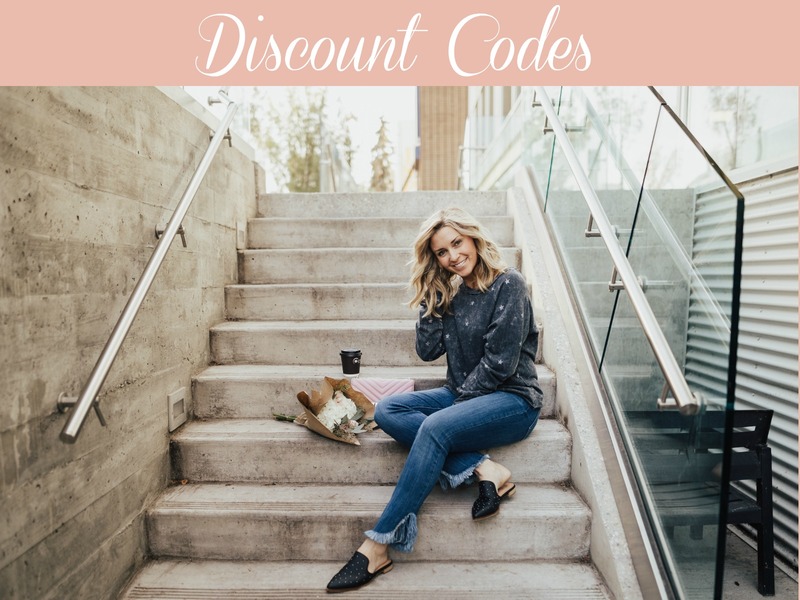 Thank you to Lloyd Mall for sponsoring this post. As always, thoughts and opinions are my own.